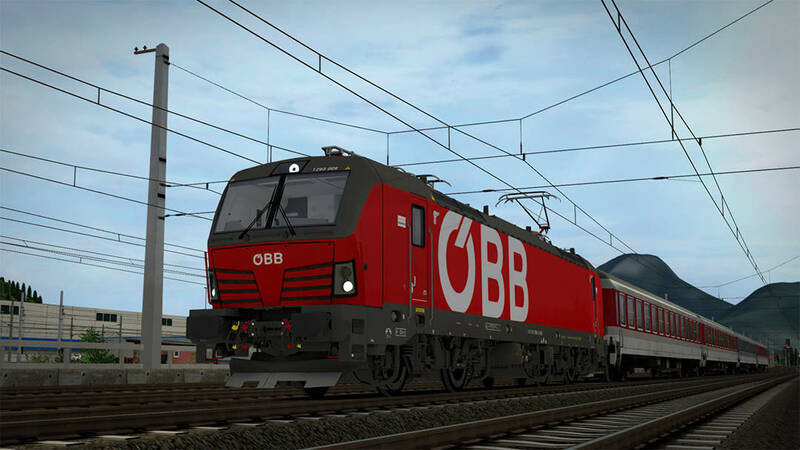 The state-of-the-art ÖBB 1293 is coming soon to the Steam and Dovetail Games stores, courtesy of RSSLO. While it was revolutionary for its time, by the late 2000s the EuroSprinter family of locomotives was reaching the end of its innovative life, and with an expected growth in the European market within the next decade, engineers looked to evolve the platform into something new. After taking inspiration from the latest designs, a new family of locomotives emerged, the Vectron. Adaptable and reliable, the Vectron could be suited to any duty, and come equipped with electric, diesel, or dual-mode operation. Many railway operators placed orders for Vectrons in various configurations, including the Austrian Federal Railways, who in 2017 pledged to take up to 200 of these new locomotives which they would classify as the ÖBB 1293. The ÖBB 1293 was ordered on the premise of easy cross-border access with neighbouring European countries, as such, these new locomotives have Multi-System equipment on-board, certifying them for haulage in Austria, Germany, Hungary, the Czech Republic and Slovakia. With this versatility, ÖBB can effortlessly put their 1293 locomotives to work on anything from long-distance freight to high-speed passenger services, making them the new workhorse of European rail. Soon, you will be able to experience this incredible locomotive first hand, as RSSLO’s ÖBB 1293 is coming soon to the Steam and Dovetail Games stores!